As per the Legend, Mukthaka Rishi thought of performing Yaga. The demons Janu and Sumandalas started troubling the Yaga. Weapons used by the Sage went vain as the demons got the boon from Brahma, that no weapon can kill them. Goddess Parvathi appeared before Sage and Killed the demons. Sage hailed Goddess as Nimishamba. 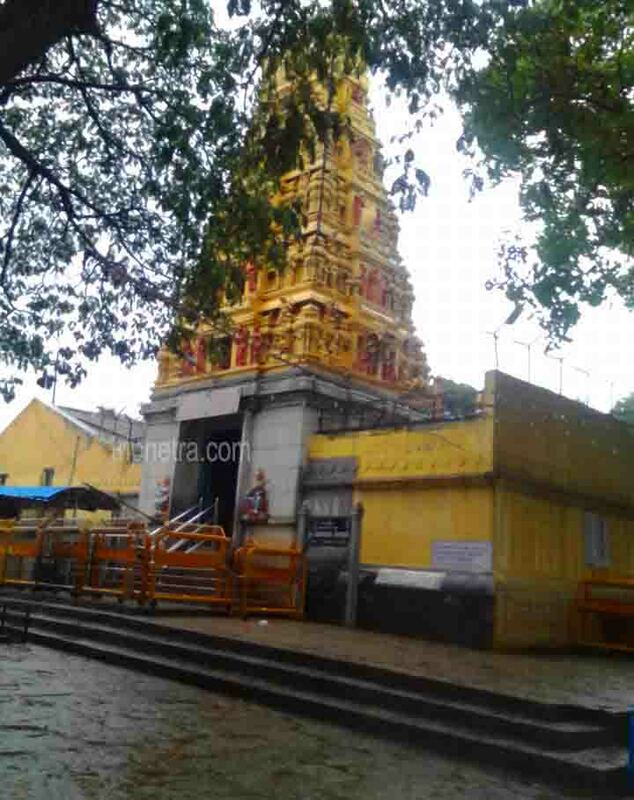 How to reach Nimishamba temple Mysore? The nearest airport is at Mysore which is 35 Km away. The nearest Railway station is at Mysore which is 19 Km away. The direct bus is available from Mysore to Ganjam. Shimla Chadwick Falls situated in the Glen forest of Shimla Himachal Pradesh. One can trek to this waterfall to admire its beauty. It is a 100-meter waterfall which is recommended to visit in the monsoons as the rainfall will be adequate which make the waterfall bit heavy and more beautiful. The waterfalls are just a bit far from the Summer hill. Shimla has great hidden treasures of beauties. Every step in Shimla is adorned with beauty. Apparently, Shimla is known for the lush green mountains and the waterfall flowing among the amidst of these valleys and forest is just breathtaking. 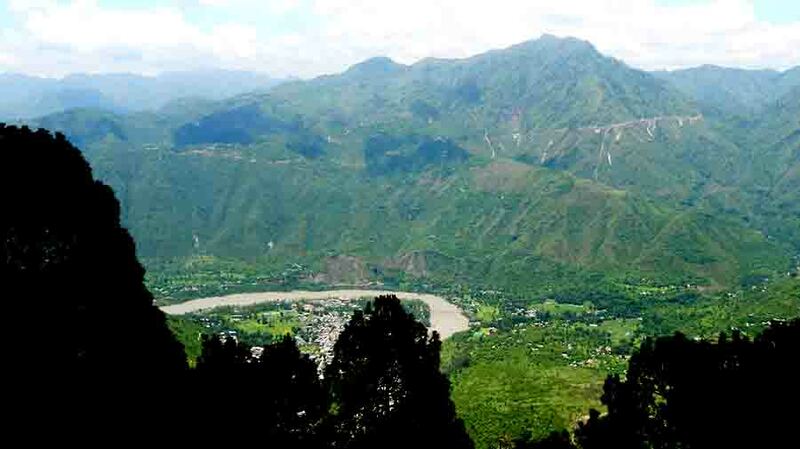 This place is perfect for the day time picnic, that is the reason why this is among the best places of Shimla which is been bustling always with the locals and the tourists. The name of the fall is been derived from Chidku Jhaar, which means Chidia in Hindi (Sparrow) and Jhaar means waterfall. Hence it is called Chadwick Falls, as it is said that only sparrows can reach these falls among the valley of the Glen forest of Shimla. How to Reach Chadwick Falls Shimla Himachal Pradesh? 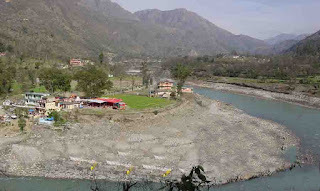 Tattapani situated 50 km away from the beautiful Shimla is popularly known for the hot spring coming out from the side of the Sutlej river. These hot water springs are known for their medicinal values because of the presence of Sulphur in the water. Also, the bath in the hot water spring in the monsoons makes a great combination. Also, many bathtubs are been arranged by the local shops for the sake of the tourists. 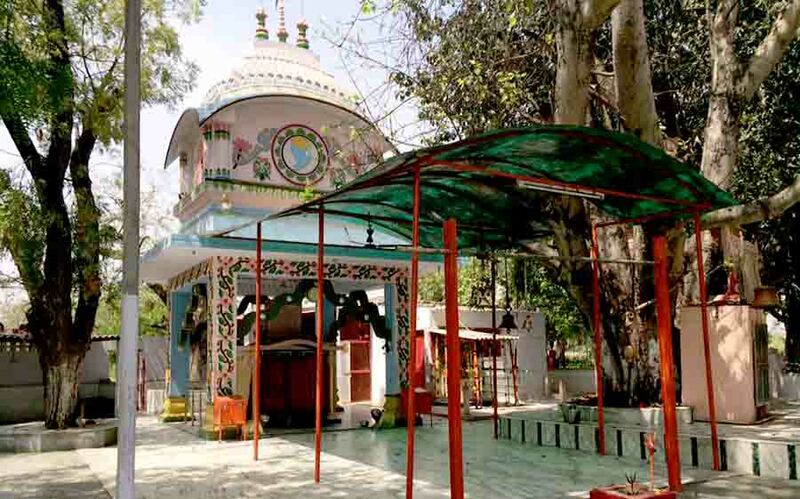 This place is popular for adventures and also for some Hindu traditions the Sani dan means the donation. The offerings are offered to the Sani god on Saturdays. The donation is given to the Pandits or priests. Usually, materials like rice, dal, wheat, will be weighed accordingly and been donated to Pandya’s. Also, a local festival is been organized on the occasion of Makarsankranti. 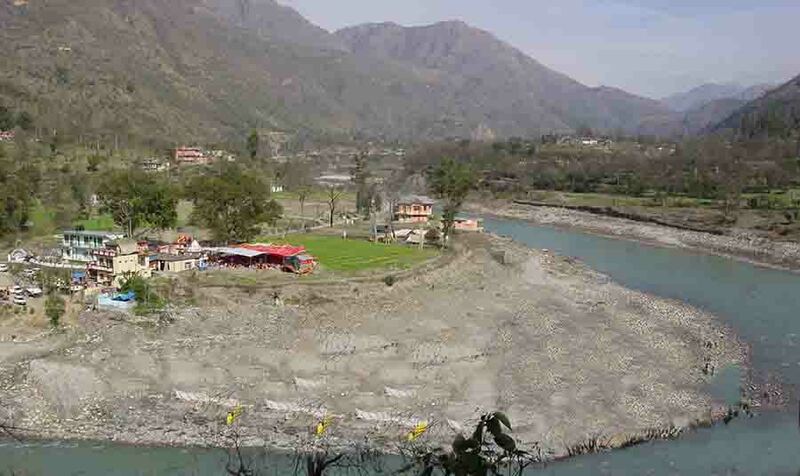 No, natural hot water spring is available as the dam constructed over the Satluj river, so the natural hot water spring is been submerged under river water. But one can obtain this feature from the nearby hotels or any nearby residences. F Hotel Hot Water Spring: Rs 350/- per head approx. F Note: prices vary depending on the hotel type also based on the season the prices vary. 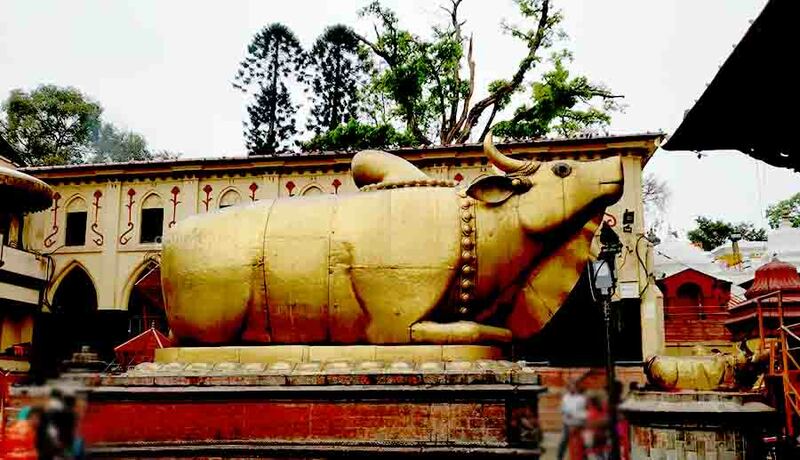 As per the Legend, Lord Siva disguised himself as a deer and started roaming here. Devas who came to know about Lord Siva's existence thought of carrying him to Kashi. Devas pulled the deer horns with force. The deer reluctant to move and horns fell on the ground. These four pieces emerged as the four faces of Linga. Darshan waiting Time: 90 - 120 mins. As per the Legend, Sati Devi Daughter of Daksha Prajapathi married Lord Siva against her father's wish. Daksha decided to perform Yagna inviting all Devas and excluded Lord Siva and Sati Devi. Sati Devi on knowing this reached her maternal home to advise her father. Daksha insulted Sati Devi in front of the guests. Angered Sati Devi raised high and immolated herself in the Yoga Agni. Lord Siva after collecting Sati's Corpse danced the dance of destruction. Lord Vishnu sent his disc and made the Sati's corpse into pieces. The body parts fell across Indian-subcontinent and emerged as Sakthi Peetas. It is believed that Sati Devi's hair had fallen here. Melmaruvathur temple History, Timings, Entry fees. In the 1960s, Local noticed miracle that milk started oozing out of the Neem tree. Surprisingly, the milk tasted sweet though it is from the Neem tree. On 28 Nov 1966, due to heavy rains, the neem tree was uprooted from it place. A swayambu Idol was found beneath the root. The devotees realised that it is because of the Swayambu the milk tasted sweet. 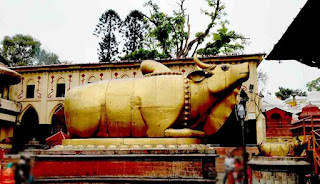 The devotees unearthed the Swayambu and installed Idol. 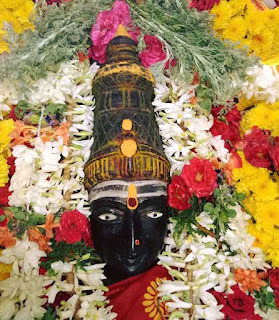 on 25Nov 1977, Aadi Parasakthi Amman Idol was installed inside the Sanctum Sanctorum. How to reach Melmaruvathur temple? The nearest airport is at Chennai which is 77 Km away. The nearest Railway station is at Chengalpattu which is 35 Km away. The direct bus is available from Chennai, Chengalpattu, Tindivanam, Bangalore etc. As per the folklore, An ardent devotee of Lord Venkateswara used to visit Tirupati once in a year. It happened once, that he was not able to travel to Tirupati. He prayed to Lord Venkateswara for his inability. Lord Venkateswara appeared in his dream and revealed his whereabouts. Next day, the devotee went inside the forest as instructed by the Lord. He started digging anthill in search of the Idol. The Crowbar struck an idol and blood oozing out of an anthill. The poured milk on the anthill as advised by the voice from the Sky. 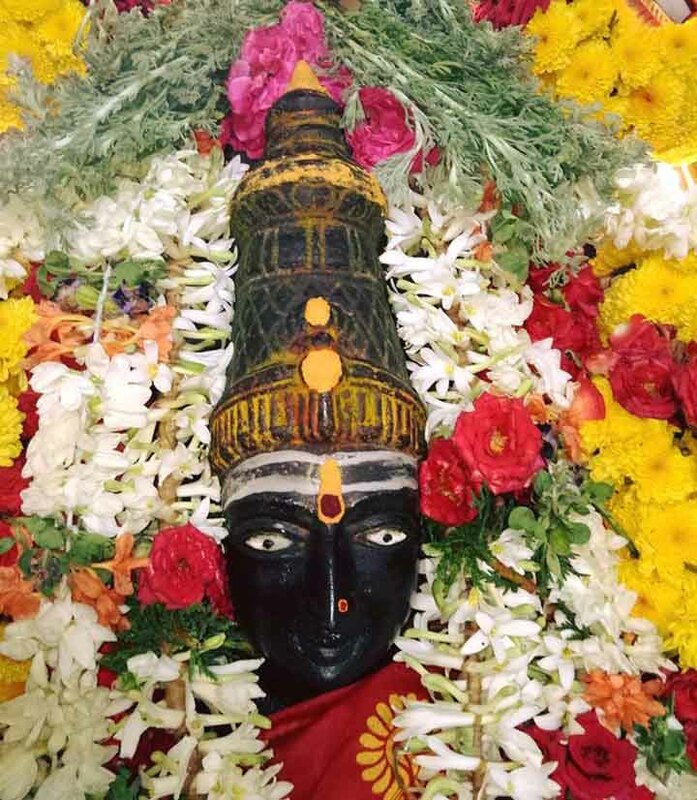 The devotee unearthed the Idol of Lord Venkateswara along with Sridevi and Bhudevi. This is Ekasila Idol, where all the deities present in a rock. The devotee has to perform 108 Pradakshinam when their wish is fulfilled. This Pradakshinam was in place from 1982 -83. The temple main priest Gopalakrishna Swamy performed Pradaskhinam when the borewell is drilling. Water came out of the Earth when he completes 11 Pradakshinam. 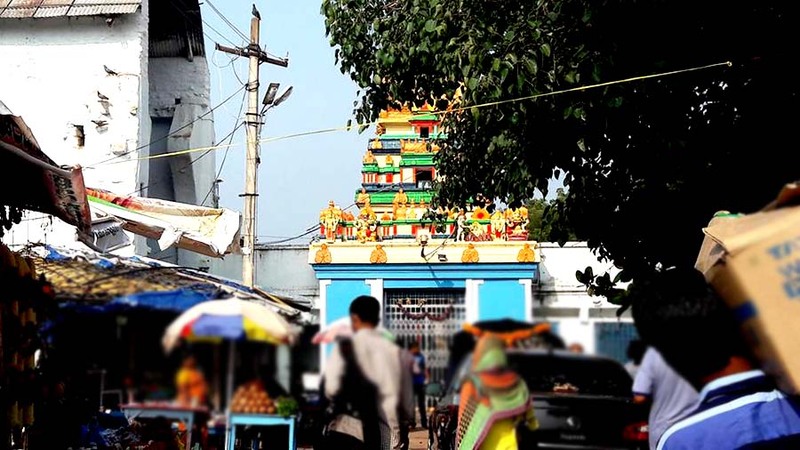 How to reach Chilkur Balaji Temple? The nearest airport is at Hyderabad which is 35 Km away. The nearest Railway station is at Secunderabad which is 32 Km away. The direct bus is available from Mehadipatnam. Bus No#288 D is available.